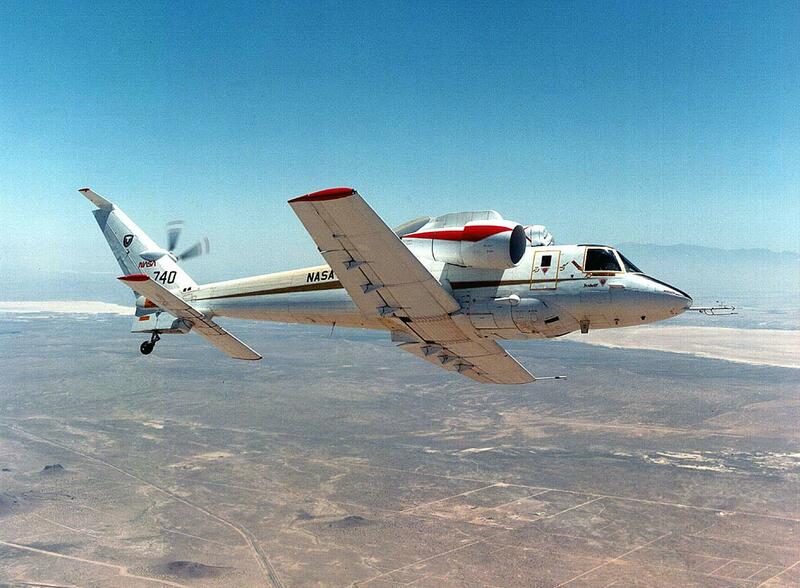 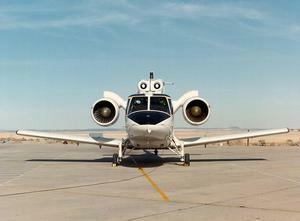 A rotorless 3-place airplane configuration of the NASA/DARPA Rotor Systems Research Aircraft (RSRA) project, redesignated S-72X. 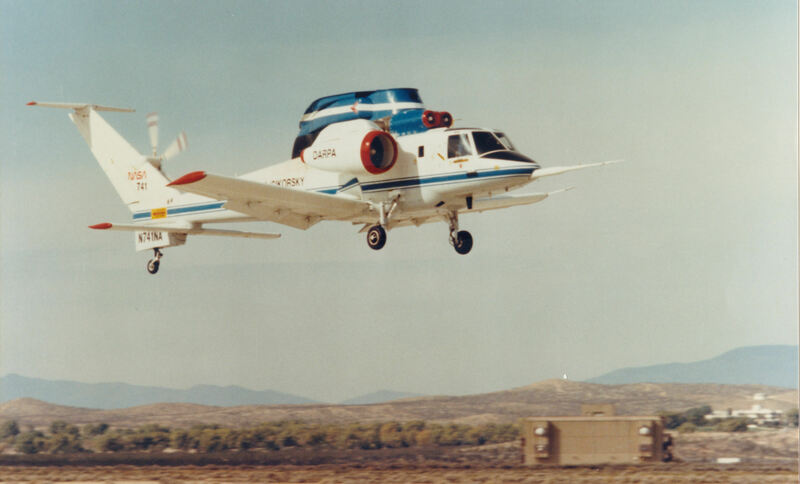 It is intended to serve as an emergency configuration required for operation if the rotor is severed by the Emergency Escape System. 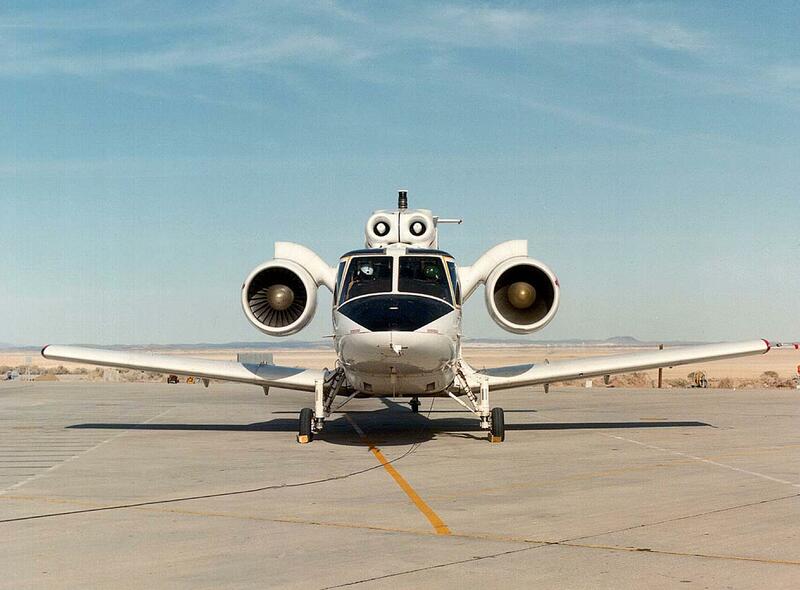 In addition to the turbofan propulors, the main transmission and conventional 5-blade tail rotor are powered by General Electric T58-GE-5 / T58-GE-10 engines. 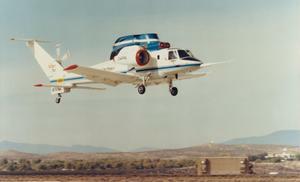 Resources related to the S-72X RSRA Fixed-Wing , provided by the Vertical Flight Society. Resources related to the S-72X RSRA Fixed-Wing , provided by public sources across the internet.